36th District Rep. Gael Tarleton has been honored by Washington Conservation Voters as that organization’s Legislator of the Year. Tarleton called the recognition a “tremendous surprise,” and said taking care of the environment and moving the state toward a clean-energy future has been a top priority since she first ran for office. “I don’t do this work with the expectation that I’m going to get an award,” she said. Clifford Traisman, state lobbyist for Washington Conservation Voters, said it was Tarleton’s “body of work,” that set her apart, citing her aforementioned work to advance a 100-percent clean energy bill, along with her support of efforts to enact carbon pricing in the state, and her work to protect salmon from harmful mining practices, among others. He also noted her role as vice chair of the House Technology and Economic Development Committee, which includes energy efficiency and renewable energy within its purview. 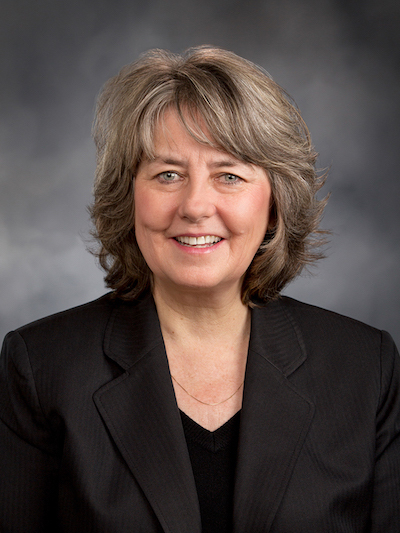 “She is one of those legislators that can reach her hand out to the other side of the aisle and build consensus in a time in Olympia where few legislators are successful in doing so,” he said. Tarleton also emphasized the importance of recognizing environmental issues as bipartisan ones. The three-term representative said the biggest breakthrough this past session was what she called a “culture shift,” in discussing how to address climate change and carbon emissions. “Now people realize we have to do something about it,” she said.